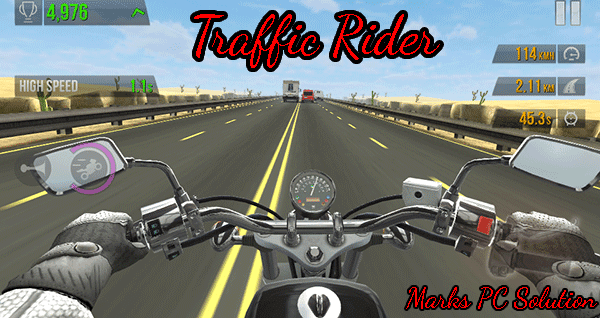 Traffic Rider - Go as fast as you can!!! Gamers always love bike racing. Specially for the mobile users, bike racing is more convenient than car racing. Today I'm gonna share a bike racing game which is less familiar to you. But I can guarantee that it will be much thrilling than Highway Rider!! Download > Install > Play . . . It may start installing automatically or do it manually. Allow install application from unknown sources if it doesn't run. 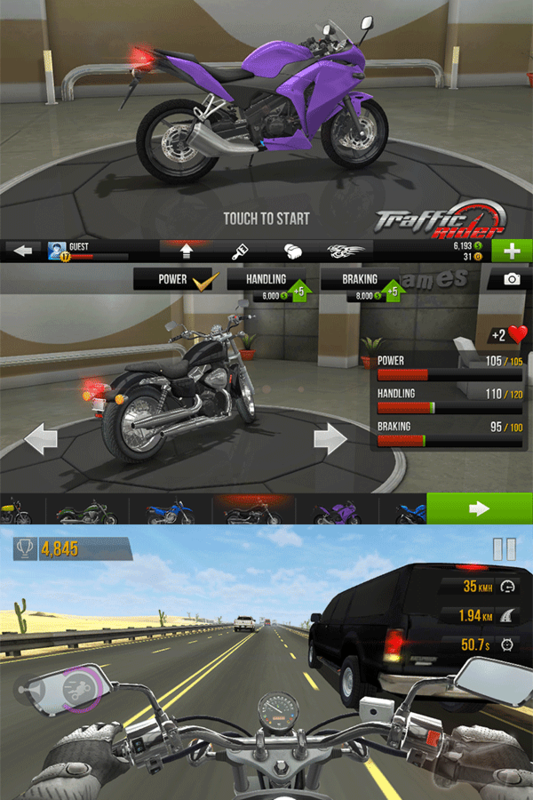 After installing the game, you will get traffic rider icon on your app list. Tap on the icon to play the game. Earn points to reach to the next levels. Maintain a speed over 100 kph to earn points. Collect your daily points with gold. Upgrade your bikes if you have enough points. Choose options for brake, accelerator and steering from settings. Hope all of you will enjoy this mind blowing racing game. Keep playing . . . Professionals love to type quickly. And most of them like to use keyboard shortcuts to get their job done. And so am I. When you need to use multiple fonts frequently it might be boring and time consuming. If you wanna avoid using mouse to choose a font, then you can create keyboard shortcuts for your preferred fonts . . . This tutorial has been prepared using Word 2016. If you're using previous versions of Word, you may experience a bit change in the options. Creating Fonts Shortcuts . . .
Run MS Word from your PC. Hit on the File button and choose Options from the bottom. 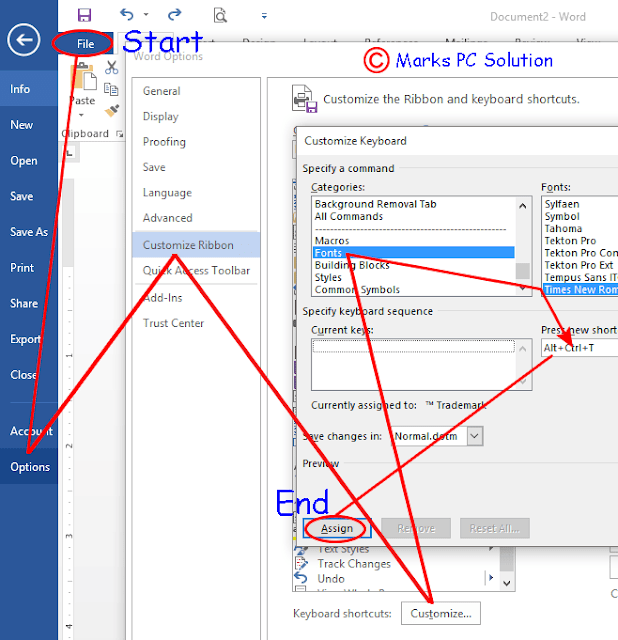 Select Customize Ribbon from the left pane. Click on the Customize button located at the bottom of the window. Choose Fonts from the Categories. Select your preferred font from the list at the right. 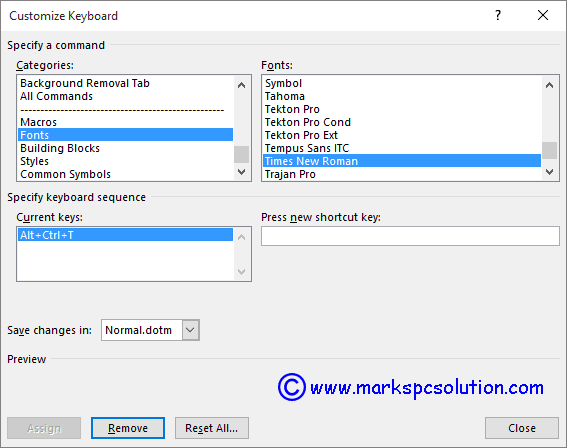 Press keyboard shortcut (i.e. Ctrl+Alt+T for Times New Roman font) in the press new shortcut key box. Hit on the Assign button and close the window. That's it. Removing/ Changing Shortcuts . . .
Go to the Fonts from Categories. Choose the font for which you created keyboard shortcuts. You will get the existing shortcuts in the Current Keys. Hit on the Remove button to remove the shortcut. Press new shortcut to create shortcut again. 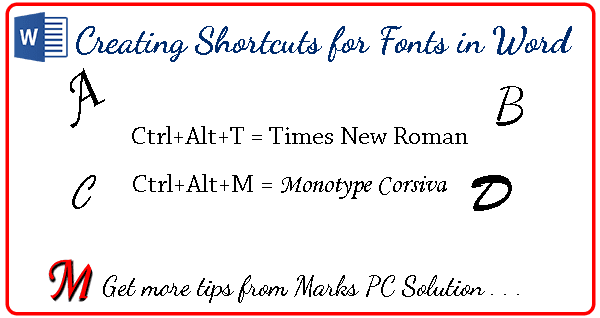 Remember, this method is not only for creating shortcuts of fonts. In this way, you can create shortcuts for many other commands that appear in the categories.